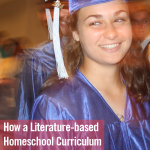 I read this article and wanted to share it with you: How a Literature-based Curriculum Prepares Teens for STEM Careers https://blog.sonlight.com/literature-based-homeschool-stem-careers.html. 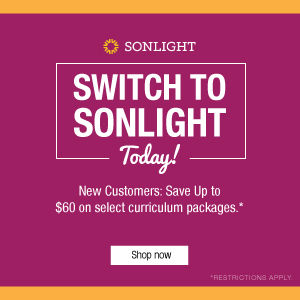 What careers would you expect Sonlight students to choose? With a literature-rich curriculum, would you expect them to become missionaries, business people, pastors, or homemakers? Well, many certainly do. But that’s only the tip of the iceberg. 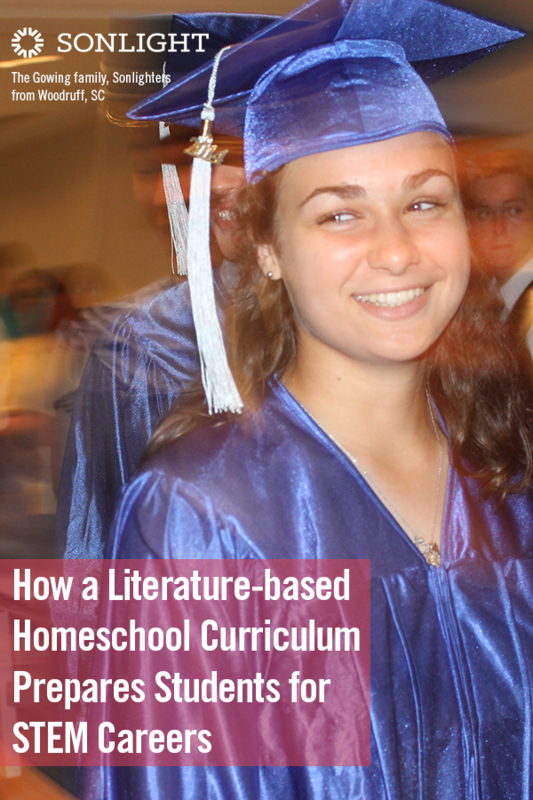 A literature-based homeschool curriculum prepares students for STEM careers as well! 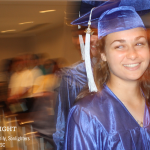 If you haven’t already, check out the 2017 Sonlight Scholarship Winners. The way it worked out this year (and every year is different), the top applicants are almost all headed into STEM (Science, Technology, Engineering and Mathematics) careers. 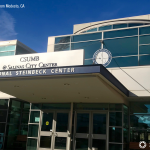 Medicine isn’t usually included in the STEM classification (though it’s clearly reliant on math and science), but four of the winners plan to pursue medical training. Seven other winners plan to head into electrical and mechanical engineering, neuroscience research, biology or chemistry. Phew! They love to learn and are insatiably curious. This inner drive for knowledge is critical to success as a scientist, technologist, engineer or mathematician. They’ll encounter many setbacks in their research and study; therefore, they’ll need a lot of internal motivation to learn for the sake of learning. They know how to identify biases. All writing comes from a bias, even scientific writing. Though scientists often feel they are completely objective, everything from funding sources to worldviews can influence their work. Far better to be aware of this than to proceed in ignorance. They have extensive background knowledge. This background knowledge adds context to whatever they’re studying. These Sonlight students understand so much about how the world works. That provides a framework in which to plug in new concepts and knowledge. They understand the limits of science. Sonlight students know that this highly intricate universe has a Creator. While humans can learn and make scientific advances, we will never become God through scientific study. Instead, we can use science, technology, engineering and math to support the work of bringing God’s kingdom of love, truth and healing to the world. They have an excellent vocabulary. Developed through years of extensive and varied reading, this advanced vocabulary helps them excel on college entrance tests and comprehend high level concepts. Creativity is crucial to designing new solutions and new uses for old ideas. Workers in the STEM fields have to tackle problems with no known solution. 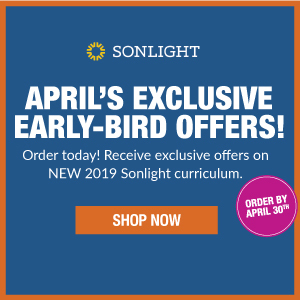 The expansive education that Sonlight provides from preschool through high school trains students to think for themselves and brainstorm new ideas. They know how to communicate. A big part of a successful career in math, technology, science or engineering is the ability to actually communicate with other people. The ability to write a cohesive paper, speak in public, and break difficult concepts down into easy-to-understand language is a huge advantage to young people in STEM fields although it is part of the job that many hopeful scientists overlook. 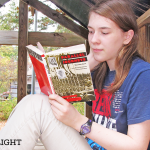 Sonlight students have read and written so much by the time they graduate, they have a huge leg up on their competition. They have the perspective they need. The humanities anchor a STEM scholar, making him or her aware of the implications of past work and present discovery. This perspective is a critical need in our world today. Of course, these Sonlight students have had top-notch STEM preparation as well. 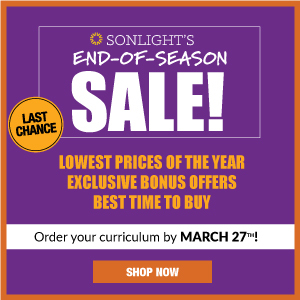 Sonlight offers the best of the best in Math programs, from basic arithmetic through calculus. 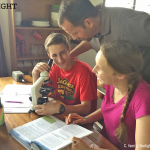 Sonlight Science programs are hands-on, well-loved and rigorous, and our upper-level Apologia offerings include those critical lab science experiences that high schoolers need. Many of the scholarship winners this year not only completed normal coursework at home, but they also sought out internships, job shadowing, real-life projects and community college classes to prepare them for college-level STEM training. The freedom of homeschooling through high school means that you can tailor your students’ experience to what they want. They can keep up an engaging liberal arts education while also going full steam ahead in the hard sciences. So if your child is excited about STEM subjects, help him or her dive in and learn more. For more specific ideas of how to support your children considering a career in these fields, check out Forbes’ advice to students or these 10 tips for students hoping to study science or engineering. Your students could even take this short quiz from Florida Polytechnic University to help them discover which fields might suit them best. I’d also encourage you to just keep homeschooling and know that you will be able to find the upper-level resources you need when you need them. When you feel you might be over your head, consider options such as self-teaching courses (like the upper-level math and science Sonlight provides), community college classes, homeschool co-op resources, internships, paid tutors, and free online resources like Khan Academy. If you’re not ready to teach Physics, Advanced Biology, Trigonometry or Caculus on your own, we’ve got your back. If your kids are young, keep moving ahead in your studies and helping them love to learn. Know that all your reading and discussion will only help them as they grow, no matter what field they choose. So savor all the Read-Alouds and history. But also enjoy those Mighty Mind puzzles. Move at your children’s own pace as they master math concepts. 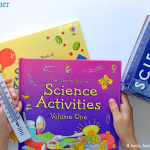 Break out your science supply kits and give your students the thrill of successful experiments. Let them learn to code, which is also a helpful way to teach bravery! Whether your students head into ministry, music or nanotechnology, you have what it takes to prepare them well. I count it a great privilege to walk with you in that journey. My 11 year old son does not like read alouds or reading on his own either. He does not like chapter books. The only book he reads are in the form of a comic. I'm very worried that he will not learn much. I feel like I'm failing as a homeschool mom. What can I do in this situation? My middle child also preferred graphic novels/comics. He has never enjoyed reading as much as the other two but did gradually adapt. Reading will never be what he does for fun, but that is OK. It does not mean that they are failing or that you are. Could it be that he is a visual learner? That is the case with my son. He may not enjoy reading a book, but let him watch how something is done and he can master it. Try adding is some interesting videos and websites to supplement and see if that helps. For us, the books were still required because it was a lesson in doing what is necessary but understanding how he learned best was the key. It wasn't until high school that he finally learned to appreciate chapter books, so hang in there! I absolutely agree! 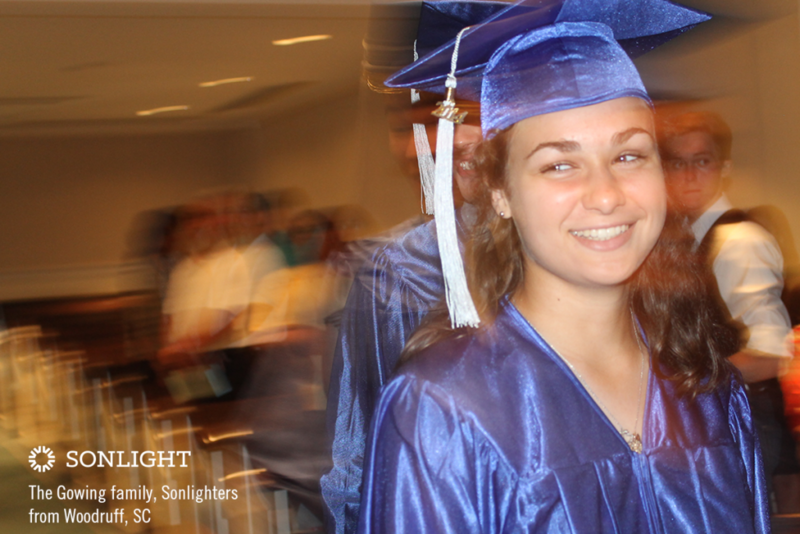 My first to graduate Sonlight is a pre-med major who is planning to be a neurosurgeon. My 11th grader is planning to study business. My 7th grade daughter is looking to a career in science. 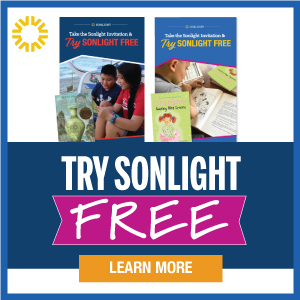 Sonlight has always ignited their love of science and has provided a well rounded view of history and the world. I am so glad we chose it and that we stuck with it to the end. Thank you!